Some mornings are good , some are bad and some are sensational. 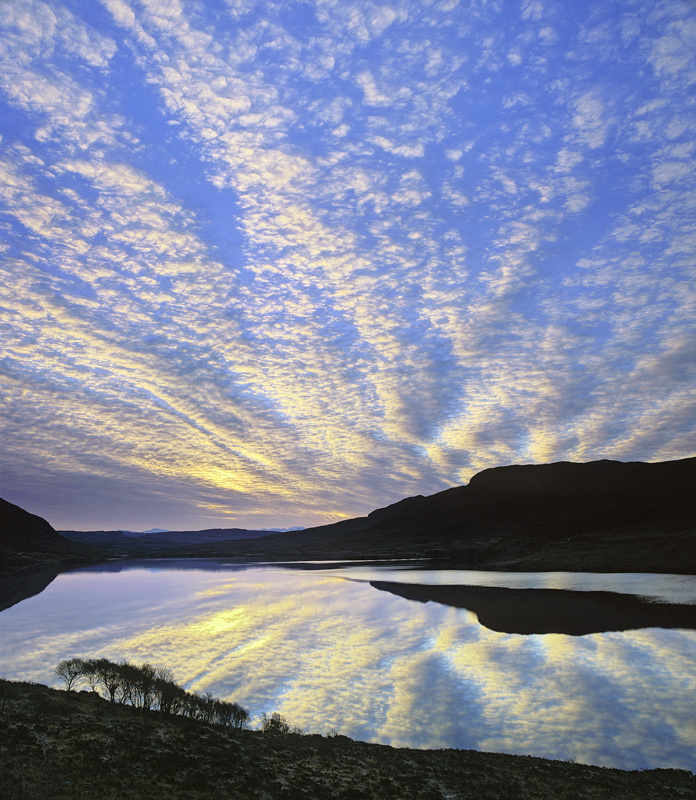 This was an eye popping sunrise over a mirror smooth Loch Lurgainn near the shapely Inverpolly peak of Stac Pollaidh. The clouds radiated like fingers or an exploding firework initially turning flame red with the rising sun and eventually turning yellow. I used a small marching row of birch brush to provide some foreground interest ensuring that it would silhouette in striking relief against the reflected sky.